With it’s temperate climate and breath-taking mountain views, central Virginia is one of the best spots in the country for golf. As avid golfers ourselves, the Realtors and agents at Virginia Estates bring a personal approach finding you the right property in the right Virginia golf community. If you are considering buying an golf property browse through listings by golf homes or golf lots. Golfing Communities are popular places to call home. Often times they are gated communities, so there is a sense of safety, security and privacy that you are your family may not feel when looking into other neighborhoods. They are also prestigious places to call home, with beautiful views of the fairways and the elite country clubs are a most certainly a plus. If you are an avid golfer, then the benefits of your home being minutes away from where you tee off are obvious. Whatever your reasons for wanting to live in a golfing community, Virginia has no shortage of places for you to call home. Not to mention many of them have been designed by the very best. Charlottesville is located in Central Virginia and lies along the Blue Ridge Mountains. A vibrant community with an active arts and music scene, as well as one of the healthiest cities in the state. Many of these communities are just outside of Charlottesville’s city limits. Golf Week rated Spring Creek the Top Ranked Residential Golf Course in Virginia in 2015. You will find this Urbanist Community facing the Blue Ridge Mountains with breathtaking views. This modern neighborhood has been developed with you in mind. The amenities reach far beyond the Golf & Clubhouse, three excellent restaurants within minutes of home, parks, trails, swim club, salon, even a full scale gym – a branch of the locally owned and operated ACAC. Old Trail seeks to go beyond the traditional golf community and bring in local businesses to a small shopping center within the community. This is Charlottesville’s premier gated community, with a championship golf course, equestrian center, fitness/swimming center, and tennis complex. Glenmore has a variety of homes and home sites to fit all types of needs, including luxury homes, cottages, and single family homes. There are 500 acres dedicated to the greenway as well as community walking paths, a soccer field, and a basketball court. Also a gated lake and golf community, Lake Monticello is just minutes down the road from Charlottesville. In addition to the golf course, this community also has a boating and recreation lake, five sandy swimming beaches, swimming pool complex, stocked fishing pond, and full-times security force. Here you are encouraged to soak in the beautiful Virginia sunset from your very own waterfront deck off of the 352 acre private lake. You may just feel like you are on vacation at home all year round! This upscale community is in high demand. From a large golf course to 18 tennis courts, as well as an 8,000 square foot fitness center, Farmington aims to keep you and your family on your toes. It is one of the oldest clubs in Virginia, this said, the architecture remains true to the south. Just outside of Charlottesville, it is in an ideal location with excellent amenities. Currently no homes for sale. With some of the larger home sites of all the golf communities, here at Keswick Estates each site maintains a minimum of 2 acres. This makes for a more private living experience within a securely gated community. 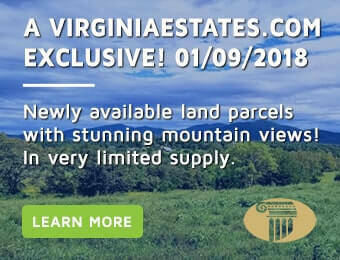 The rolling hills, Virginia foliage and woodlands and the lake, there are many places within this neighborhood that could make for your perfect home site. The real estate in this particular community is quite popular and flies off the market quick. These two Virginia Golf Communities made it in the top 100 Golf Communities around the United States. Arguably the most notable golfing community in the entire state, this master planned community on the Eastern Shore is absolutely picturesque. If the two Signature Golf Courses were not enough for you, the 2 mile stretch of private beach just might. There is a 10,000 square foot Beach Club and Fitness Center so members can stay fit all year round. Talk about dreamy, this golf community sets itself apart quite literally. In between the quaint towns of Abingdon and Bristol you will come across the Virginian where life just moves a little bit slower. Not only is the setting absolutely serene, but this community has been named 3rd Best Private Golf Community in America, the Most Beautiful Planned Community, and one of the 50 Best Places to Live in America. If that had not sold you, there are four tennis courts, a junior Olympic sized pool and a state of the art fitness center. This is truly luxury living.